Today we face enormous global challenges, including climate change and the eradication of global poverty. We must also address the needs of people forced to leave their homes to escape conflict or seek a better life. The EU is contributing significantly to the achievement of the Sustainable Development Goals within Europe and outside the EU. Indeed, the EIB, the EU bank, conducts around 10% of its activities outside the EU’s borders. In 2017, we signed 100 new projects, for which we will lend EUR 7.2bn. This supports and enables some EUR 23bn of investment in total. Better access to finance for micro-enterprises, and smaller businesses will support the jobs of 542 000 people working in those firms, as well as giving them resources they need to create more jobs and expand their outreach. These are just some of the headline figures outlined in this report. To understand better the difference that we can make, we need to dive deeper and look at individual projects, such as our risk-taking equity financing of M-Birr. This Ethiopian start-up is rolling-out a mobile payments system to dramatically increase financial inclusion, and already provides a convenient and corruption-resistant way for 750 000 households to receive social welfare payments. We are also acting to help countries in the EU neighbourhood cope with the effects of migration and build their long-term economic resilience. In Lebanon, our long-term finance to support lending to smaller businesses will sustain 20 500 jobs and enable growth and employment enhancing investments, helping this country as it hosts huge numbers of refugees. Mitigating climate change and enabling adaptation is another top priority. In Fiji, in the wake of Cyclone Winston, one project is helping the country deal with the existential threat posed by climate change by upgrading water and sewerage systems to reduce vulnerability while extending these basic services to thousands of households. I am very proud of the fact that we are able to finance projects like these, because I know that without our help many of them would not have been able to go ahead – or, at least, not in a way that would have had such an impact. We make such a difference because we step in to bridge market gaps, offering what the market is not able to offer, and enabling sound and much needed investments to take place. We make a difference with long-term financing that is otherwise unavailable. Or with our technical advice and assistance in preparing and implementing a project that works. Indeed, our technical assistance may help attract other sources of finance. Partnership is essential. 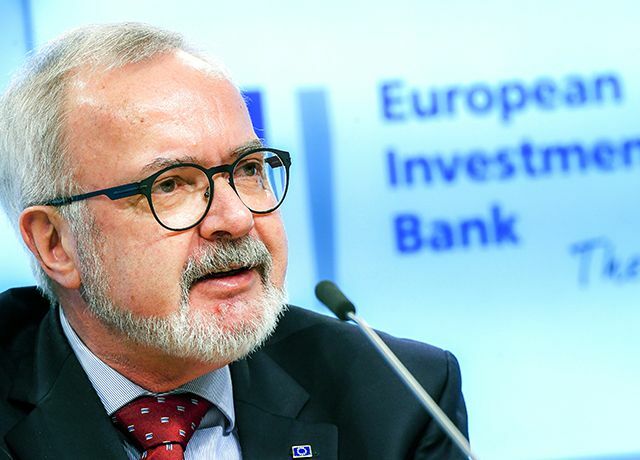 We are able to achieve these results, as the EIB, because of our unique role as an EU institution – owned by and accountable to the Member States – and our dedication to mobilising the finance and expertise to implement EU external policies. Our achievements in recent years have been possible because of the bundling of EIB resources and expertise with the complementary guarantees and grants provided by EU Member States and the European Commission. I look forward to continuing to strengthen this partnership, so that – together – we can achieve even greater impact in our neighbourhood and around the world.